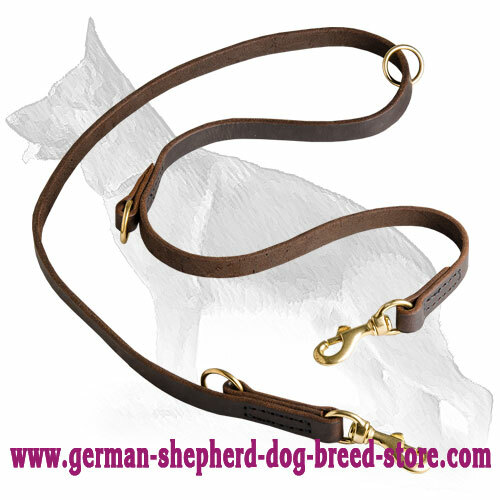 German Shepherds are considered to be one of the best working dogs. That's why they need proper and high quality equipment that will help them to show all their abilities that are needed for heavy duty work. 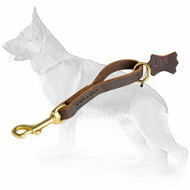 Save your time, efforts and money and buy this Marvellous German Shepherd Leash that is meant for different purposes. 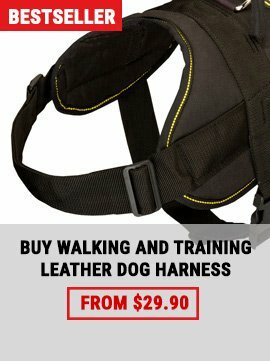 It can be used not only during work, but also for training and walking. 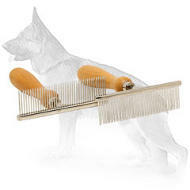 Get now this dog item - be sure you won't regret! Top quality. 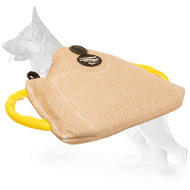 Our manufacturers have used for manufacturing of this dog tool only eco-friendly absolutely safe materials. 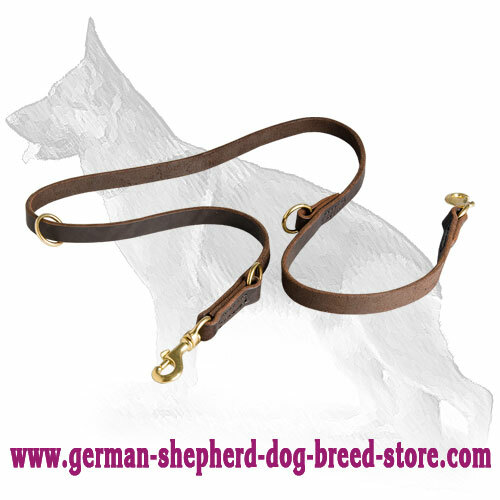 Leather is carefully oiled and treated, strong and durable enough for handling such powerful dog breed as German Shepherd. 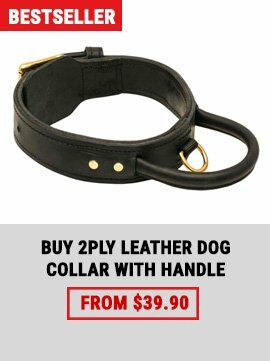 It will serve your dog for years. All metal parts are protected from rust and corrosion and are also extra strong. Multifunctionality. 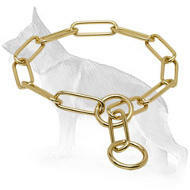 With the help of strong brass hooks and special rings you can regulate its length and, therefore, use it for different activities. 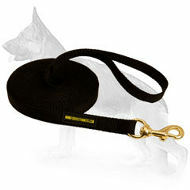 To make this Leash short attach a snap hook to the ring sewn near the other snap hook. To make it long - just use it as it is. 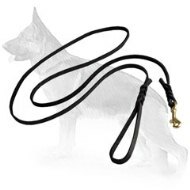 Also it is possible to control your German Shepherd with your hands free, as you can wrap it around your waist or shoulder. 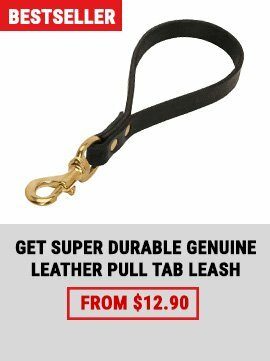 Be sure you can also use it as a coupler to walk your two dogs at the same time. 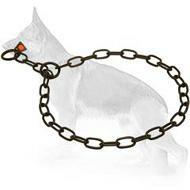 Just attach both snap hooks to your doggy's collars or harnesses and hold the Leash in the middle.